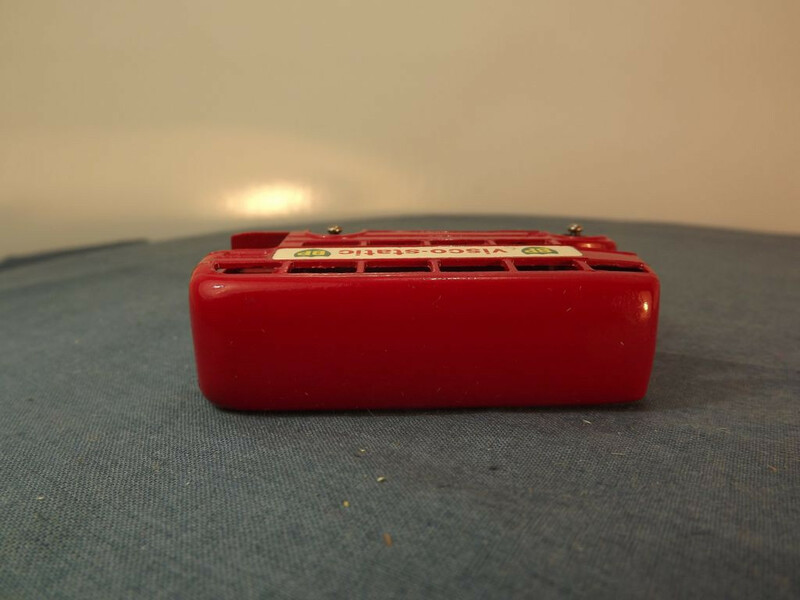 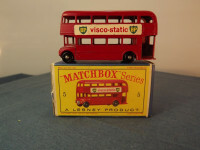 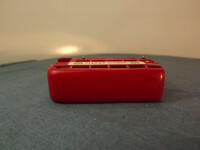 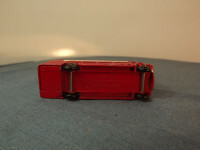 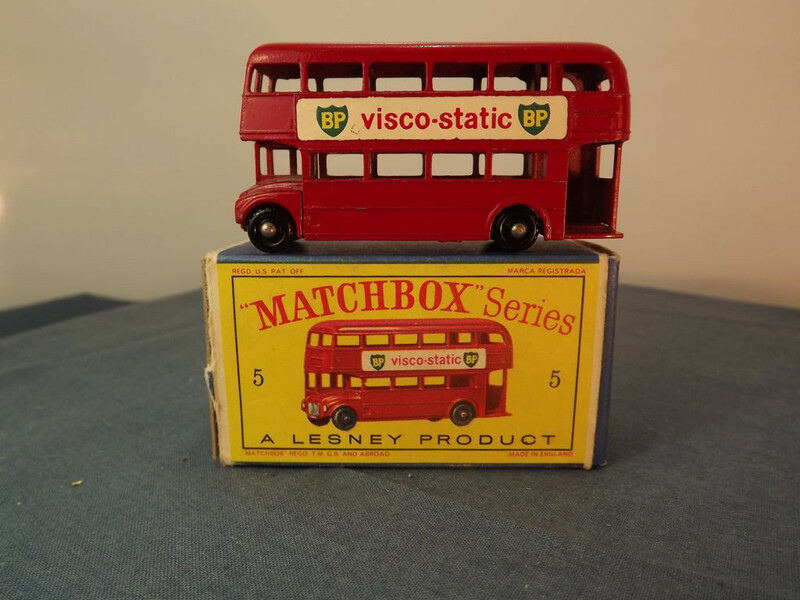 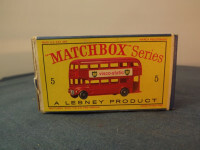 This model is the Matchbox 5-C-6 Routemaster Bus in red. 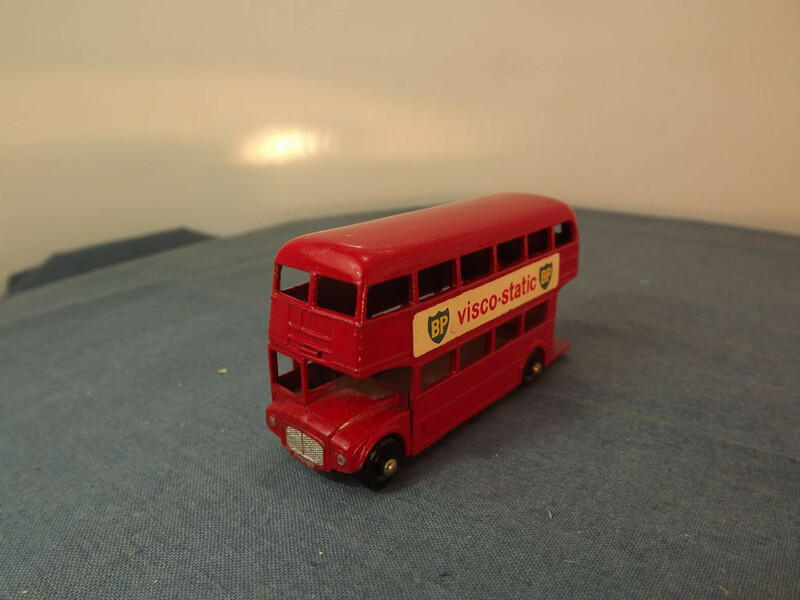 The bus has cross hatch roof underside, long axle carriers, and carries "BP Visco Static" decals. 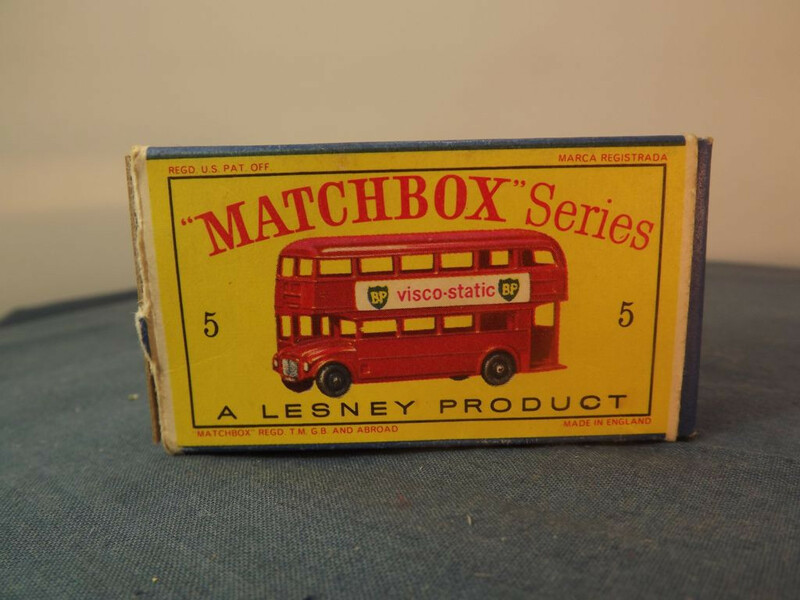 It comes with its original type D2 box (missing one end flap). 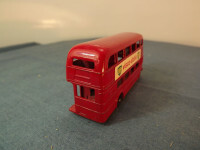 Base Details: Base has 3 lines of text at right angles to the front axles: "Routemaster, Made In, England, By Lesney" and the reference number "No. 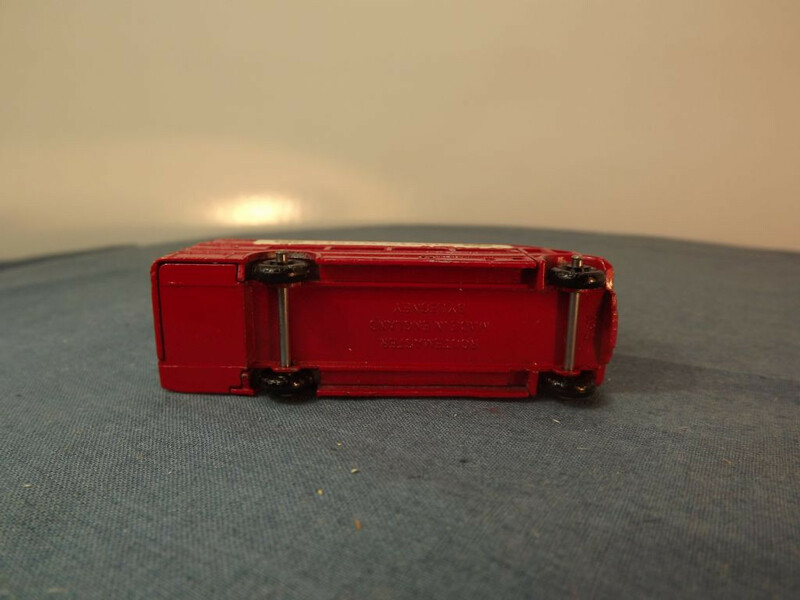 5" parallel to the number plate at the front, forward of the axle.